My home Vertical Blinds Mitcham Manufacture, Supply, Install and consult on Vertical Blinds. Get your free on 1300 360 379 Made-to-Measure quote today!!! Get 10% Discount on all types of Vertical Blinds this week. We can come for no obligation Free measure to made quote. Huge range of Blinds to choose from. We work 7 days a week. 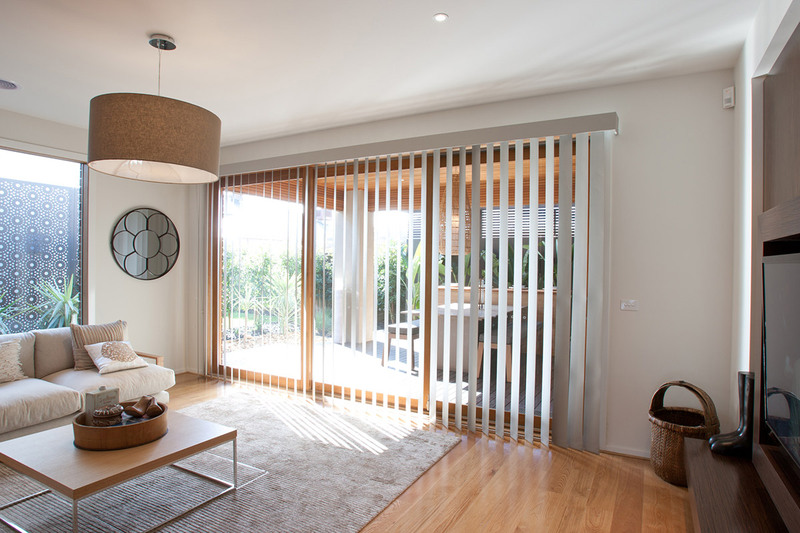 Looking for beautiful, functional, and affordable vertical blinds for your homes in Mitcham? Come to My Home Blinds and Curtains Mitcham and we will arrange for the finest range of vertical blinds for your windows. With our largest collection of all kinds of blinds, shutters, awnings, and window coverings – we take pride in delivering excellence through our products and exceptional customer service all over Mitcham. Whatever kind of window you have, we have just the right solution for it. Whether you need full privacy or partial, complete blackout or incomplete, more sunlight or less – we can help you choose the most appropriate kind of blind. My Home Blinds and Curtains has been successfully serving the residents of Mitcham for over 20 years. We cater to both commercial and domestic clients all across Mitcham. Call us for a delightful experience in buying and getting installed the finest vertical blinds! My Home Blinds and Curtains Mitcham has an exclusive range of vertical blinds that are way beyond than the conventional blinds. We design custom made vertical blinds that have a versatile nature to fit into any kind of environment. Unlike many suppliers available in the market, we make our vertical blinds only from the most superior quality products to give them a stunning look and feel. Our designed vertical blinds are more durable and last longer than others. We strive to be the best in the industry and for this reason we provide only the best to our customers. With our vertical blinds you can be sure of high class quality products, brilliantly crafted designs, and unbeatable blind installation services. Our blinds give you the kind of privacy and light protection you wish to have. Moreover, they are easy to operate, practical, and simply awe-inspiring. Vertical blinds are designed in such a way that you can control them with a single wand. This is used to open or close the slats by twisting. Also, you can stack the blinds on any side. Once they are stacked, they don’t get into your way and give a fine shade. You can also ask for chain designs in our vertical blinds. A chain helps the slats stay there without swinging in case of breeze. We also have chainless designs if you wish to have chainless vertical blinds. All it takes is touch of the magical wand in these blinds to set your mood! Control the amount of light entering your room and level of privacy with just a touch of this wand. Call us to know more! Blockout Vertical Blinds Blockout vertical blinds are mostly preferred for bedrooms where you wish to have complete privacy from sunlight and inquisitive eyes. You can use them in any other private areas for complete blackout. Moreover, some people prefer to have these blinds in their living areas where sunlight is a major concern and causes trouble watching TV etc. Translucent Vertical Blinds Another kind of vertical blind at My Home Blinds and Curtains is translucent one. These are light filtering in contrast to blackout blinds that block complete light. In a room where you wish to get rid of extra light from outside or protection from sun, these are a perfect solution. You can have these blinds in dining areas or kitchen areas where a fare amount of sunlight is needed. These blinds offer shade and yet allow you to enjoy the benefits of natural sunlight. Our Vertical Blinds Supply & Installation Services The licensed and certified staff works at My Home Blinds and Curtains Mitcham to help you make the right decision in finding the best blind for your home or office. And with our excellent blind installation services, you can be sure that all your blind related needs are fulfilled under one roof. We take the measurement process of windows very seriously at My Home Blinds and Curtains Melbourne. Unlike other service providers, we do not depend on the measurement figures provided in your house plans. We have learned from our experience that these figures can be misleading and thus we get down on our own knees to measure every single window when you call us for vertical blinds. We take into account every minute millimetre of the window so that you get perfectly fitted vertical blinds. Additionally, we measure all windows no matter how similar they appear. This is important to ensure there are no flaws in our installation services and we make absolutely fitted blinds. You can call us for free measurement and free no-obligation quote! My Home Blinds and curtains have an esteemed staff of professionals that can offer you any kind of blind installation service round the clock. Our staff is experienced and well trained which can help in providing perfect blinds installation service. We always utilize the latest tools and equipment for blind installation service. The most valuable part of our deal is the completion of blind installation service within 24 hours. Well trained staff is very fast and proactive which results in blind installation on the same day without compromising o the quality and efficiency of our products and services. We always maintain superb quality while delivering blind installation. Our fast blinds installation service is available or you at affordable costs too. Cheap costs doesn’t mean that we compromise on quality. This fast and proactive blind installation service will save you a lot of time and money. Hire our services today and get effective blinds installation done with 24 hours without spending much and saving a lot of time. Get the best range of vertical blinds and other blinds only at My Home Blinds and Curtains Melbourne. Call us today!